Can you find examples of SCAMPER? Name one thing that you have learnt from the designs that you have seen in Red Dot Museum. They really stand out from other designs. This has a wide range of different types of kitchen items all compiled into one exhibit. 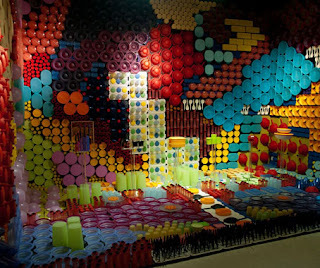 It is very colourful and the whole thing filled up a whole room which is eye-catching. This is indeed a master piece in my opinion. PS: I had an error uploading it yesterday and there isn't any problems now, so here it is.